NEW: Crib Notes, The Toddler Years - Ebook on Amazon! Get yours for 99 cents! just about anything else that pays the bills. and her husband, Adam, in 2004.
focuses on her love of horses. 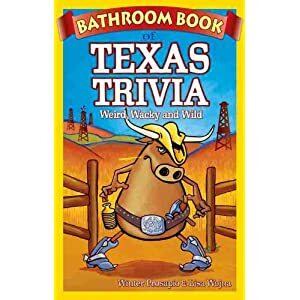 "Often hilarious, intriguing, or just plain interesting fun quick facts about the Lone Star state. If you know someone who plans to visit or move to Texas (or recently arrived), this will orient them. It will also delight Texas natives and Texas ex-patriates who get homesick. Highly recommended. "